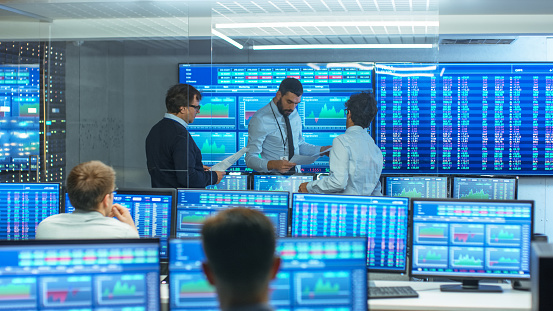 Global stock market indices provider MSCI has issued a gloomy update to its forecasts for UK share prices in the event of a no deal Brexit in March 2019. Stress tests carried out by the company’s risk management team took into account two of the Bank of England’s disruptive and disorderly Brexit scenarios alongside their own calculations relative to a no deal Brexit. All three scenarios forecast poor performance for UK shares and UK currency prices. MSCI forecast that if a no deal Brexit does occur, UK share prices could drop by virtually 25%, with a drop of around 23% in the event of a disorderly Brexit and up to 9% if a disruptive Brexit occurs. The Brexit impact will have a knock-on effect on global stock exchanges, however. MSCI also forecast German markets will drop almost 10% and Italian markets around 11% in event of no Brexit deal. US and Japanese markets are also anticipated to fall by up to 9% in any no deal scenario. The MSCI analysts do point out that equity markets have factored in some of the impacts of Brexit since the 2016 referendum, as UK stocks have lagged behind global shares throughout this period. However, they do still feel that: “the real impact – if there is ‘no-deal’ – has yet to materialise“. When it comes to the forex markets, the UK pound has been down so far in 2019 and this is expected to continue. Overall, since the referendum result the pound has lost around 7% in value when compared to other weighted global currencies, while equities have risen by around 10%. This 10% stocks gain is far lower than the increases experienced in other countries and the MSCI World Index has risen by almost 20% in this period. MSCI warn that: “Investors should continue to watch closely while preparing themselves for the worst“. Regular and professional traders will already be contemplating the actions they will take in the event of a no deal Brexit. Of course, there will still be stock market gains to be made in all the global markets, based on individual sector news, etc. However, investing in UK shares could be quite a risky venture around 29 March 2019. Traders looking to buy and hold may well hit on some fantastic bargains, but anyone looking for quick profits could be well advised to think about forex trading or global markets over this timeframe.